In Defence in Glasgow, Wigan and Manchester – Where should we be going? In this next week we will be contributing to events in Glasgow and Wigan, whilst hosting a practitioner seminar in Manchester. 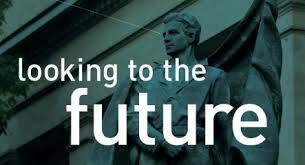 At all these happenings a key question will be ‘what does the future hold for youth work?’ We will be reporting back on responses, especially as on Monday, June 22 a Steering Group meeting will consider this question in detail from the point of view of IDYW. There are still places at our ‘Public Money’ event next Monday. And all supporters are welcome to stay on and participate in the Steering Group from 4.00 to 7.00 p.m. in 42nd Street – details within the link below. All this scurrying around the country plus much musing means that there will be less posts over this next week, but we will endeavour to keep abreast of any ‘breaking news’. Here’s hoping we might meet up at one of these events and as ever indulge in creative and critical dialogue.